Among the vast swathes of high-energy, bombastic anime, the option to wind down and relax with something simple and low-key can be highly appealing. Sakamoto Desu Ga? (localized as Haven’t You Heard? I’m Sakamoto) emphasizes this very concept, presenting itself as a straightforward, one-note sketch comedy series. 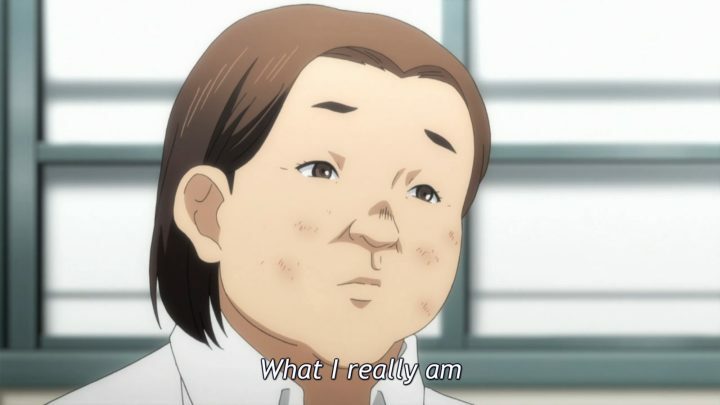 Sakamoto Desu Ga?, adapted from the manga of the same name by Studio Deen, utilizes a single, all-encompassing core conceit: the titular Sakamoto is effortlessly cool and popular, capable of resolving any issue with minimal, yet impossibly stylish effort. As the series progresses, Sakamoto is placed in a range of scenarios — some seemingly mundane, some zany, and a few genuinely heartfelt and emotional. Whether he’s putting out a fire through the use of rapid lateral motion, utilizing his patented ‘theory of evolution’ running style, or imposing sheer terror on his rivals with a formidable taxi-hailing gesture, Sakamoto finds the coolest answer to any problem. He’s joined by a varied cast of characters often serving as the foil to his deadpan, effortless demeanor. While the bulk of the series’ humor is derived from Sakamoto and his creative solutions, it’s the supporting cast that allows Sakamoto to thrive in his role, and provide the emotional weight when the situation arises. The supporting cast allows Sakamoto to thrive as an effortlessly cool hero. Sakamoto alone cannot manage to drive the show, as it’s his nature as an outlier that propels the action forward. For example, one of the series’ more prominent characters is Atsushi, filling the role of the resident school delinquent. Across his numerous encounters with Sakamoto, the two develop a sort of unmentioned, yet implicit mutual respect. The two even bond over a challenge to rent adult videos from a local store; a task too daunting for Atsushi, but well within Sakamoto’s bounds as a suave individual. Atsushi tends to cause conflict with his peers because of his brash demeanor, but Sakamoto is always on hand to resolve the issue with a gentle touch. When the series draws to a close, it’s the relationship between Atsushi and Sakamoto that provides the most emotional weight. 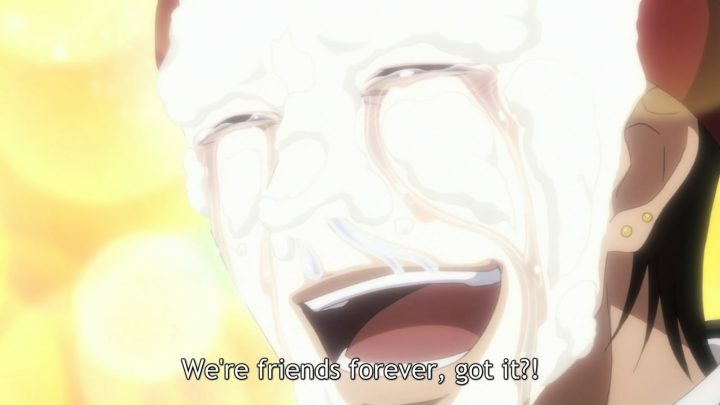 Though the friendship is never explicitly explored, it serves as the central focus of the final episode. Under pressure from our resident villain (more on him later), Atsushi rebels against Sakamoto, driving the two apart. Naturally, Sakamoto saves the day in the most spectacular fashion, but in doing so, his mask slipped ever so slightly, and we see a genuine hint of empathy in his character as the two finally acknowledge their relationship. Kubota and his mother’s arc covers some very sentimental ground. Similarly, the brief character arc involving Kubota, one of Sakamoto’s close friends, and his mother, Shigemi, covers some very sentimental ground. In the early stretch of the series, Kubota’s mother is played as an oddball, with her frankly excessive romantic advances towards Sakamoto seemingly cementing her place as comic relief. The one-sided relationship reaches its peak early, as Sakamoto manages to convince Shigemi that he no longer exists in the physical realm, much to Shigemi’s (very vocal) disappointment. She remains that way for the bulk of the series, popping up here and there to inject some offbeat humor into the situation, but a single sketch devoted entirely to her character later on provides some much-needed insight. Following a zany sequence of events, Shigemi finds herself standing in at school in place of her son. Initially, this is placed as an excuse for her to get closer to Sakamoto, but thanks to our infallible protagonist’s intervention, she realizes the error of her ways. Further, Sakamoto’s gentle encouragement leads her to reflect upon her life as a single mother, acknowledging all of her strength, and all of the good memories she shared with her son up to this point. It’s a shockingly poignant conclusion for an otherwise rather dull arc, which I feel stands as a solid representation of the series as a whole. While the series lacks any form of overarching narrative, the enigmatic Fukase stands as a sort of villain — the manipulative antithesis to Sakamoto’s pure cool. He only receives two brief sketches in the spotlight, and even then most of his time is spent in the shadows. But the sheer disruption he presents to the otherwise mundane lives of our regular cast is portrayed quite vividly. Though he never physically interferes with Sakamoto and his peers, his words and his presence are enough to deeply affect them. He’s simply played as a malevolent counterpart to Sakamoto, facilitating some much needed character drama, but not overstaying his welcome. It’s a brief character arc, but it’s one that is satisfying to see to its conclusion. Sakamoto remains an impossibly stylish enigma. All of this brings us around to our titular character: the legendary Sakamoto himself. In fulfilling his role as an essentially infallible character, Sakamoto doesn’t particularly excel as a relatable protagonist. Under any other genre, this would be an enormous misstep, but within the context of the show, it absolutely works. He’s a thoroughly enigmatic character by design; his origins and background are never explored, his personal beliefs and motivations are unknown, and we only ever see him as he interacts with others. 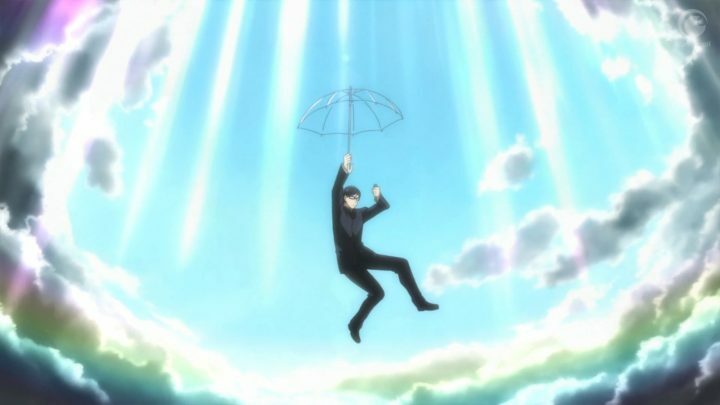 At several points throughout the series, it even seems like he possesses some kind of otherworldly ability, as he effortlessly glides through a storm on an umbrella, and freely interacts with animals, as well as paranormal entities. At the end of the day though, he’s simply cool; no light is shed on his impenetrable façade, and he remains an impossibly stylish enigma. Just as simplicity is Sakamoto’s biggest strength, it’s also its most significant detractor. For the duration of the (admittedly short) series, what you see is what you get. If you’re looking for something more — perhaps some kind of narrative or deeper character interactions — you really won’t find it in Sakamoto. To experience the absurd solutions Sakamoto provides for each situation can be a spectacle, but it can also be repetitive. Such unabashed loyalty to a strict formula can often be a detriment, but overall, this formula helps define the Sakamoto experience. 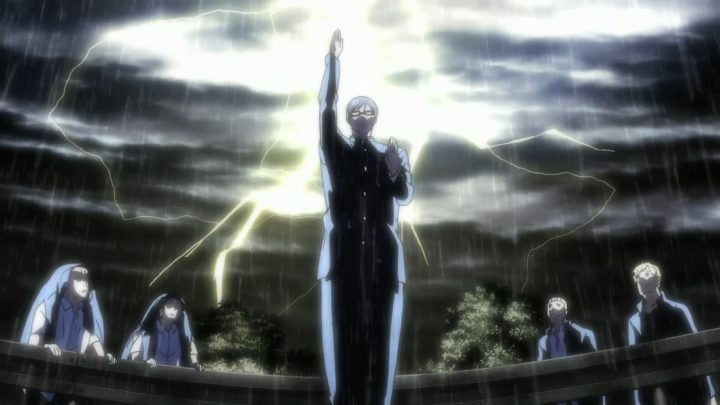 As the series progresses, a feeling of repetition can inevitably set in, but Sakamoto as a character manages to stand in stark defiance to his surroundings. The setup and execution of most of the jokes within this series would best be described as mundane, with a very simple reliance on misdirection and subverted expectations. However, when the time for the punchline draws near, it’s Sakamoto who serves to flip everything on its head, and provide a genuinely unorthodox and unexpected conclusion. It’s incredibly creative, and although it doesn’t always manage to hit the mark, the results are genuinely engaging.